Discussion in 'SABOL BROTHERS Custom Handmade Knives' started by SABOL BROTHERS, Jan 6, 2018. Add photos to these threads please. I saw some off your portfolio - pretty nice. 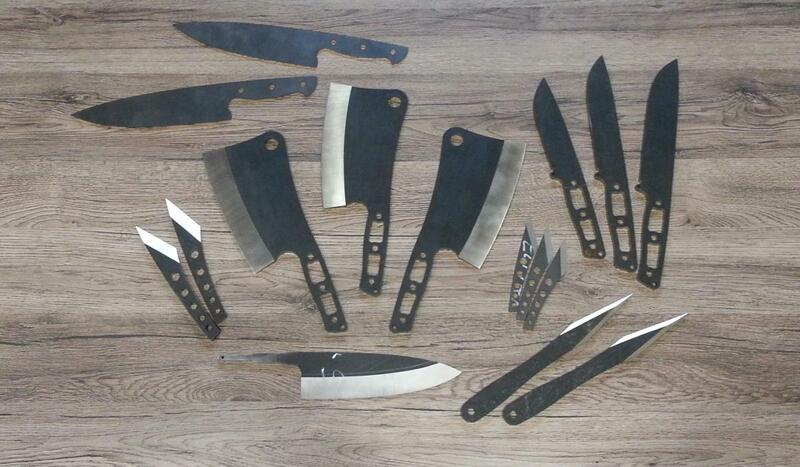 Here are several blades from our recent batch. Mainly UDDEHOLM RIGOR (AISI A2), currently being heat treated. Some meat cleavers, smaller and bigger Kiridashis both in RIGOR and ELMAX, some throwing knives for no spin technique (also in RIGOR), western style kitchen knives (upper left, in ELMAX), our bushcraft models in various sizes and last but not least, nice thick Deba (we also have one leftie being HT). 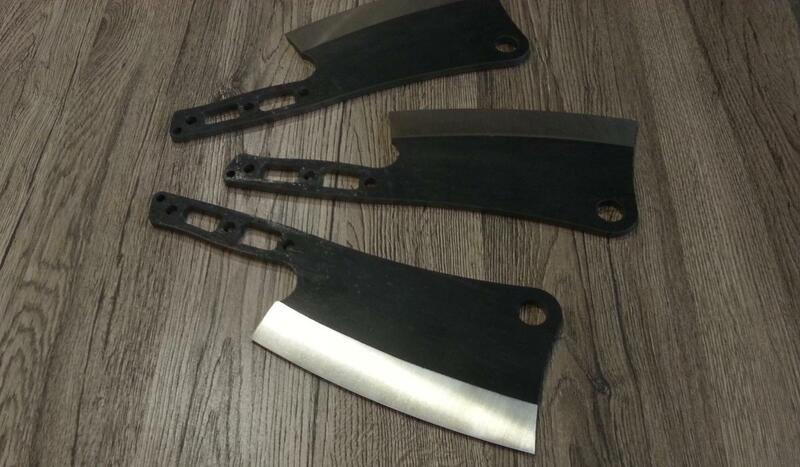 We are finishing some big choppers (10+ inch blades) right now. If you'd like to own one of them, contact us and you can customize your handle. 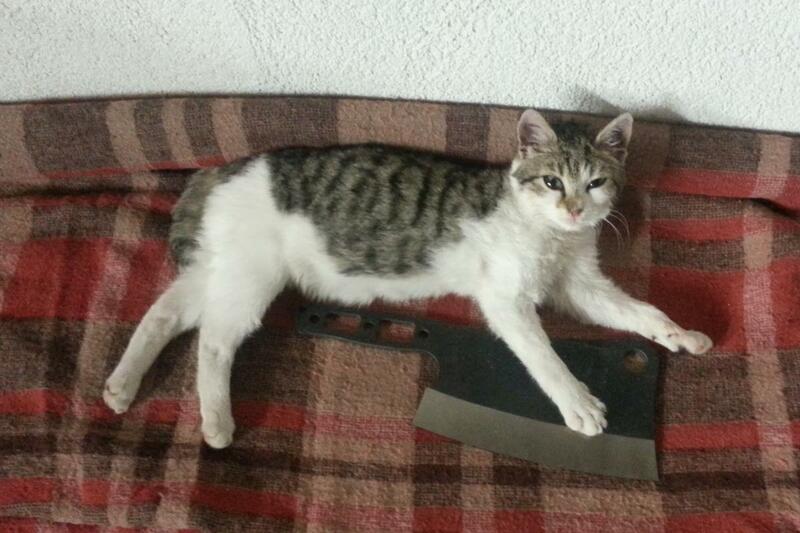 ... and of course, one meat cleaver is already being claimed by our cat. We hope you like our work guys! Do you by chance have an email that you regularly use for customer contact? I have a project that I'm looking for a custom maker for, but I can't seem to find anyway to get in touch with you guys. You can contact us via email or other options mentioned in our Ordering, Pricing and Custom Orders thread. Our small UDDEHOLM RIGOR (AISI A2 Tool Steel) batch just came back from a heat treatment vacation. 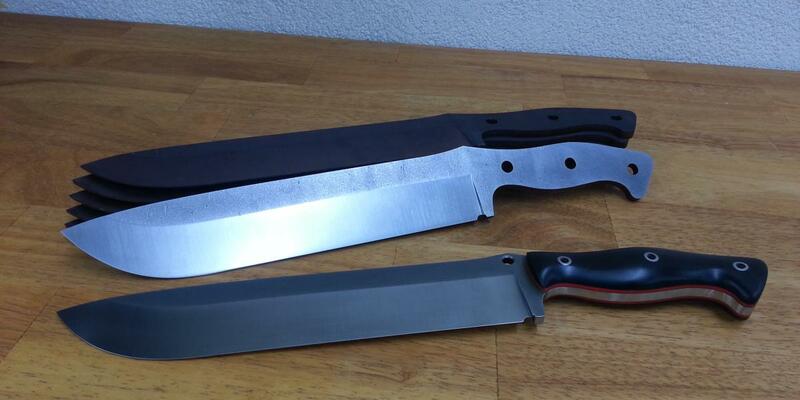 We have here some interesting all-purpose outdoor knives of different sizes, some throwing knives, Kiridashis and some cute little-big meat cleavers. wayneblocker5369 and TRfromMT like this. 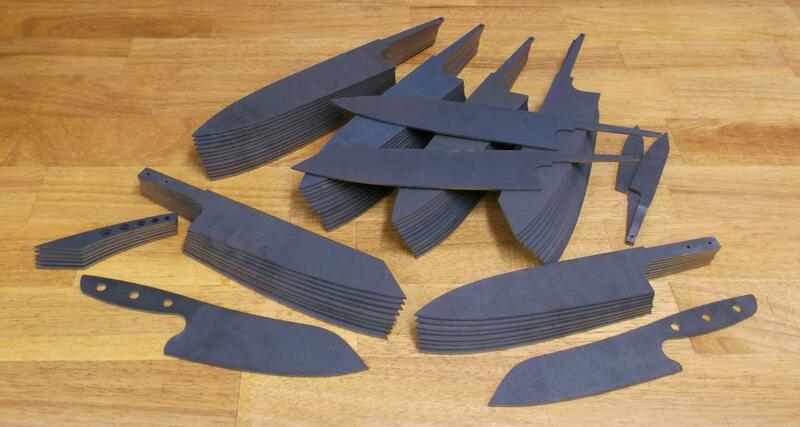 We just started working on a new batch of a full size K390 chef's knives (70+ blades), mostly 240 mm Gyutos and Kiritsuke-Gyuto chef's knives, but also 210 mm Gyutos and Kiritsuke-Gyutos, some western style Santokus plus some shorter blades for kitchen use and, of course, small K390 Kiridashis. Thanks for your interest, Ramazan! Aside from Social Media contacts, we also use email provided on our Ordering, Pricing and Custom Orders page (link added to our signature).